Roberts | 1001 Movies…Before I Die! I’ve only seen a handful of films that have come out of Australia, and those that I have seen are not necessarily the cream of the crop. Firstly, there was Crocodile Dundee, the seminal fish out of water story that played itself out over the backdrop of the mid 1980’s, this was followed up by the outstanding, Crocodile Dundee 2, which simultaneously raising the stakes while staying consistent on the laughs and heart. Next, came “Pricilla, Queen of the Desert”. Actually this is a good movie, but it remains a movie that I only very vaguely remember. As such It also remains a movie that I will have to return to one day when I have more time (not sure when that day will come…), but as it stands I remember it being pretty good. And finally, I round out my Australian film education with the first two classic art-house films in the Mad Max series (by the way, the sequel, The Road Warrior, is SO much better than the long drawn out original Mad Max). So there you have it. I walked into Picnic at Hanging Rock with considerably less than full knowledge of the Australian film experience. My introduction to Peter Weir the director was the Jim Carrey movie, The Truman Show and the Russell Crowe flick Master and Commander, neither of which I loved, but both of which I appreciated. Before watching it, Picnic seemed to be a dry period piece concerning itself with noble ideals such as manners, class, wealth and some big notions along the lines of justice and righteousness. I was surprised how well it dealt with its actual topic, guilt, and the inescapable despair that it rode in on. The picnic in question refers to an outing for the students at an all girl school in the early 1900s, out in the beautiful but harsh Australian outback. 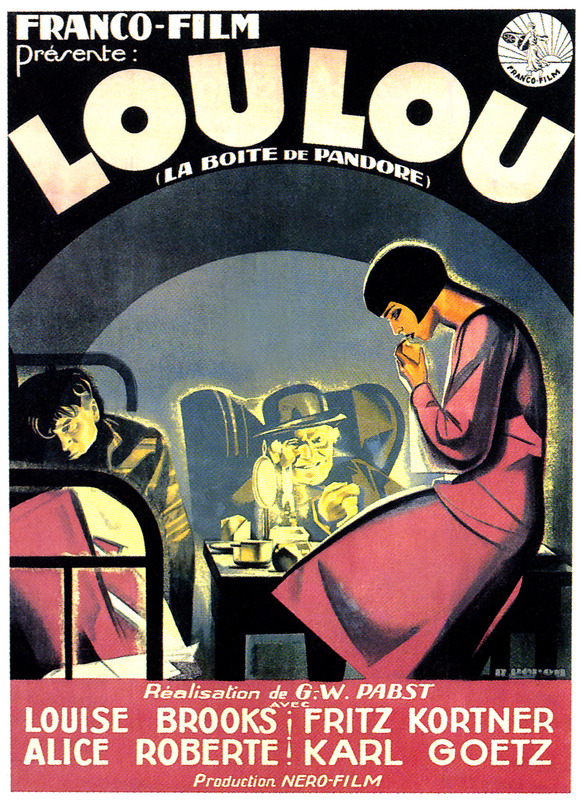 As the poster states, a party of girls heads out, but a fair number of them are never heard from again, after they get lost at (where else) Hanging Rock. Search and rescue missions are formulated, mounted and failed. Testimony is taken from the one surviving (? I leave this question mark because we never truly find out about what happens to the girls, so technically they all might have survived.) member of the group, yet still there are no leads. The fact that no bodies ever-present themselves is enough to keep the hope of finding them alive, but the lack of any real evidence one way or another forces the police, the community, and the school to face the unpleasant fact that they may be dead, or worse, dying. It is this unknowing that allows the commonly felt guilt to take hold and fester. Despite the fact that no one is directly to blame, each character is wracked with crushing guilt, from the school’s strict headmistress, to the poor girl who was not allowed to go on the field trip, to the young boys who were the last people to see the group of girls alive. Everyone is affected. Everyone is wounded so deeply by this invisible stain, that it corrupts them all and throws their lives into disarray. One of the film’s major strengths is the fact that there are different messages to be gleaned depending on just what you bring to the experience. Is this simply a factual yet dramatic telling of a true story? Is it an exploration of reliability of one’s narrator? 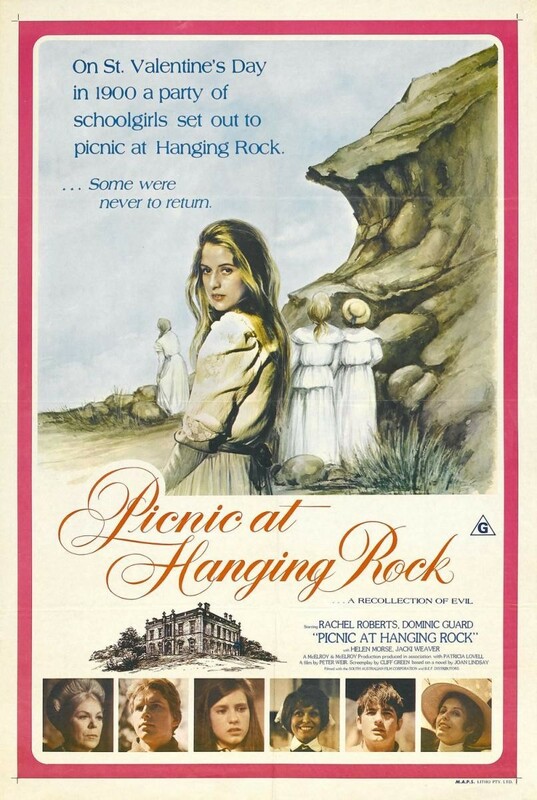 Does Picnic at Hanging Rock speak, and offer commentary to the dark past of Australia’s birth and colonization? Yes, yes, and more yes. As with most films of the seventies, the look and pacing of the film are as big a part as the acting, story, or direction. The slow methodical pace of the story serves to draw out and enhance the tension and accentuate the anguish. The color palette only helps the depiction of the tawny reds and desert browns and yellows of the harsh australian climate, and the softer look to the film stock helps the dream-like quality of the story. Since many films in the seventies had these qualities, it’s hard to tell which simply worked with what they had, a which used the film stock as a means to an end. If I had to bet, I would guess Peter Weir was one f the latter. As with each of the characters presented in the movie, the story of what happened that St. Valentines Day in the outback leaves a mark on the viewer as well. I watched the movie nearly a year ago, and I still find myself thinking about it. Maybe not everyday like I might something like Die Hard, or JFK, but it certainly finds its way into my consciousness. Definitely a film worth seeing, although maybe not right before or after some of the aforementioned films from Australia. It has been quite a while since I’ve written in this blog. A little more than a year if my calculations are correct. A lot has changed in my life and I haven’t had the time to devote to regularly updating a project of this magnitude (pop POP!). Needless to say, I’m not interested in giving up writing about movies although I can’t promise that I won’t need to take a break from them now and again. That being said…I’m glad to be back at it. Secondly, this is officially my 100th post! So for those of you keeping score (I think it might just be me), I’ve seen and written about 100 new movies since I started this project, and since I entered into it having seen 300 of the 1001, I am at about 40% completion. Hooray! Only 601 more to go!